Click on the green button to the right to join or renew! The Purdue Master Gardener Program is “Helping Others Grow.” The program provides gardeners with intensive education in horticultural principles. The instruction is provided without charge, however, there is a fee for supplies which become your personal reference collection. Participants who successfully complete the program and, thereafter, donate an equal number of volunteer hours in community gardening services are certified as Master Gardeners. Yearly donation of time is expected to maintain certification. The original Extension Master Gardener program was created in 1972 in Seattle in response to the overwhelming demand for home gardening information. Indiana’s program began in 1978 with Marion and three other participating counties. Currently, about 77 Indiana counties have active Extension Master Gardener programs. In Indiana, the Master Gardener Program is conducted by the Purdue University Cooperative Extension Service through local Extension offices. In Marion County the program is coordinated by Steve Mayer, who teaches and facilitates the course. Why Should You Become a Master Gardener? You’ll always have the opportunity to grow in several ways when you become a Master Gardener. After satisfying the requirements for volunteer activity, the ways you grow and how far you go are up to you! The training sessions will increase your knowledge of a wide array of gardening subjects. This increased knowledge will give you the skills and confidence to teach others in your community what you know about gardening, either one-on-one or in group settings. Sharing your gardening knowledge with your neighbors will give you a great way to become more involved in improving the quality of life in your community. And you’ll be able, if you wish, to use the training and experience in leadership you’ve gotten through your activities in the Master Gardener Program as a springboard to other forms of community leadership. Determine the location of a Master Gardener Training Session in your area by contacting your county Extension office. You may also contact the Master Gardener State Coordinator to find out where the program nearest to you will be held. You will complete an application form and/or enrollment form and return it to the local county Extension Office. Enrollment is limited. After being accepted into a training session, you must attend a series of weekly classes, each lasting 3 to 4 hours. Achieve rank of Master Gardener Intern by completing required training and passing exam with 70% success. 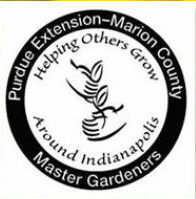 MG Interns are required to volunteer a minimum of 35 hours to be certified as a Purdue Master Gardener. Purdue Master Gardeners and the staff of Purdue University Cooperative Extension Service are partners in meeting the vast demand for home gardening information. We hope you will make a commitment to join us in helping others grow.